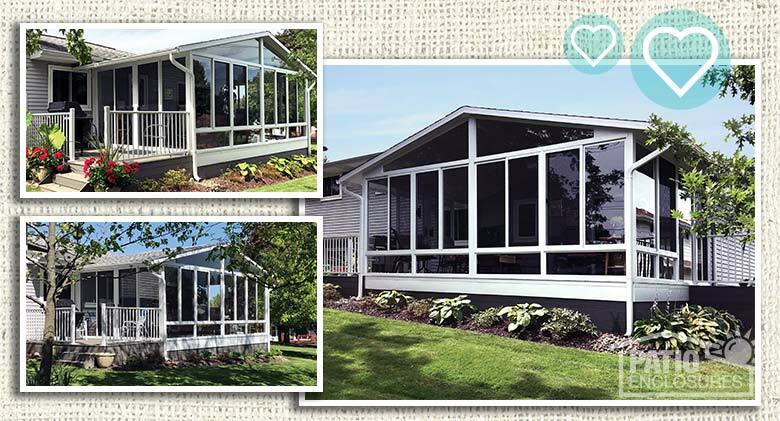 Are you considering a sunroom or screened-in porch for your home, but unsure of which type is right for you? 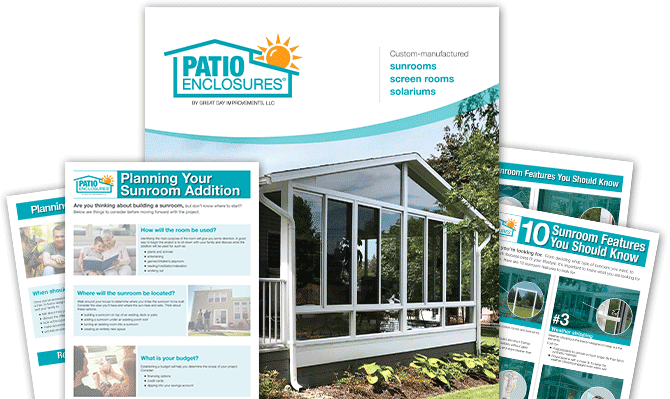 For over 50 years, Patio Enclosures® brand sunrooms have been added to hundreds of thousands of homes to create relaxing and usable living space. No matter what your perfect space looks like or how you plan to use it, we can help you create it. But, don't just take our word for it. 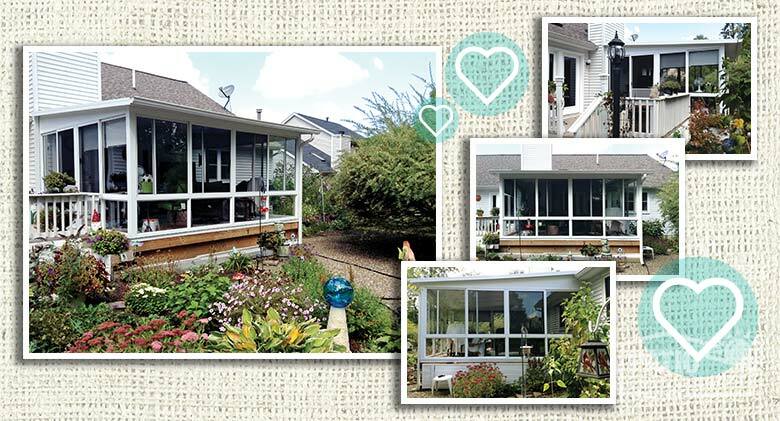 See how some of our fall sunroom addition contest winners use their Patio Enclosures additions and what they love most about them. 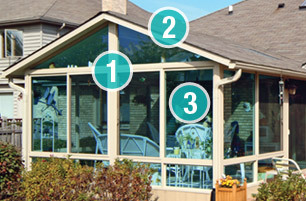 Learn more about screen rooms. 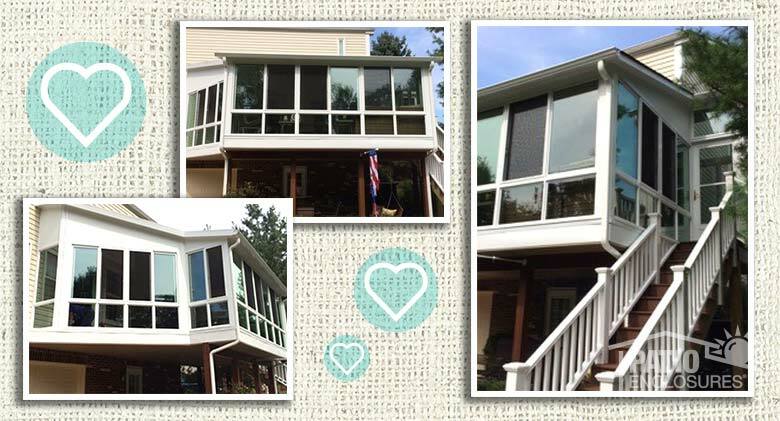 "The best move we ever made with this home improvement. This room is now used more than any other spot in the house. Watch the sun rise and watch the moon at night. 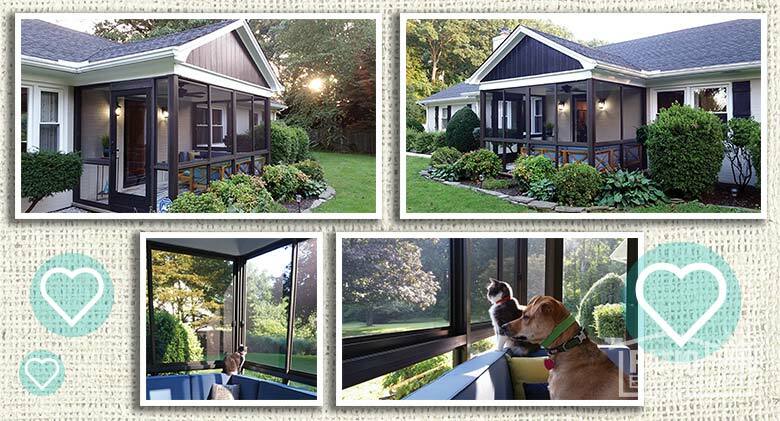 The only ones that might like our sunroom better are our three cats. 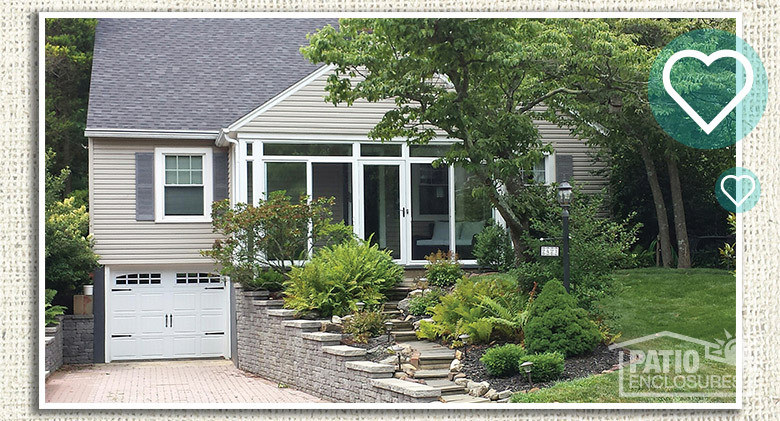 The sliding windows allow cool breezes in and much better air flow through our house." "We’ve had a few years with our addition and have thoroughly enjoyed the space. The construction team was a pleasure to work with." "Love our new room because of all the light and added living space. It blends in beautifully to the house. New favorite spot for the grandkids!" 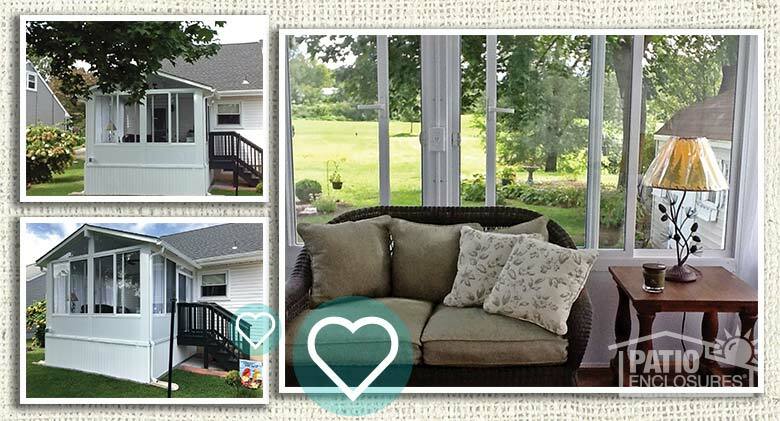 "Today is a chilly day but with my sunroom, I am able to be in there and have a beautiful view in perfect comfort. I know nature is therapeutic and I am delighted to have this space to be able to enjoy it. I recommend it to anyone and if you have a lot of family, I recommend you make it big! It’s a wonderful place to be with your family or to have a peaceful moment with your morning coffee." 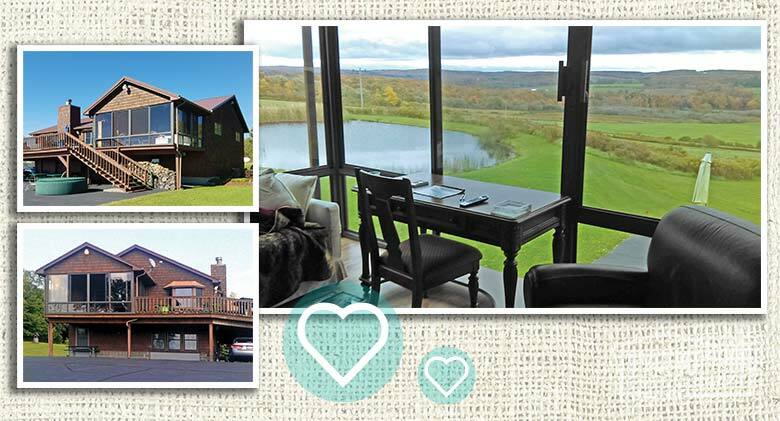 "One of the things we loved most about our house was our view of the countryside. 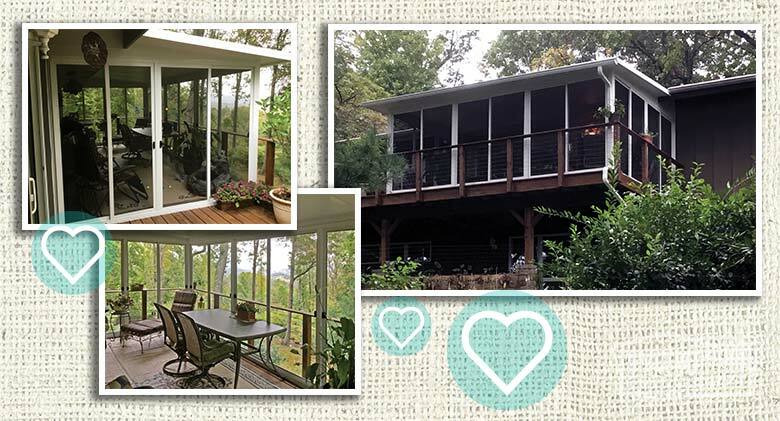 We added a Patio Enclosures three-season room which enabled us to enjoy our outdoor view. We were so happy with our room, that we added a second three-season room one year later off the master bedroom." "We enjoy eating breakfast in our four-season room and watching the sun come up in the morning. We also enjoy the additional space it gave us." "I've received many compliments from friends and family, and am pleased so far. 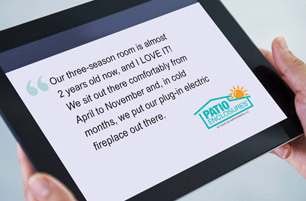 I enjoy spending time on the patio, and would like to thank you for that experience." 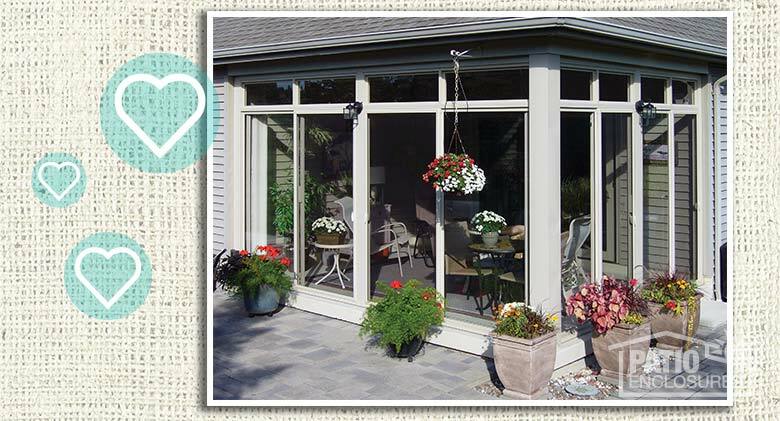 "We love our Patio Enclosure sunroom. Although it was designed as a three-season room, we have been able to use the room many days throughout the entire year. The workmanship, materials, salespeople and installation crew were outstanding and did a wonderful job. We couldn’t be happier. 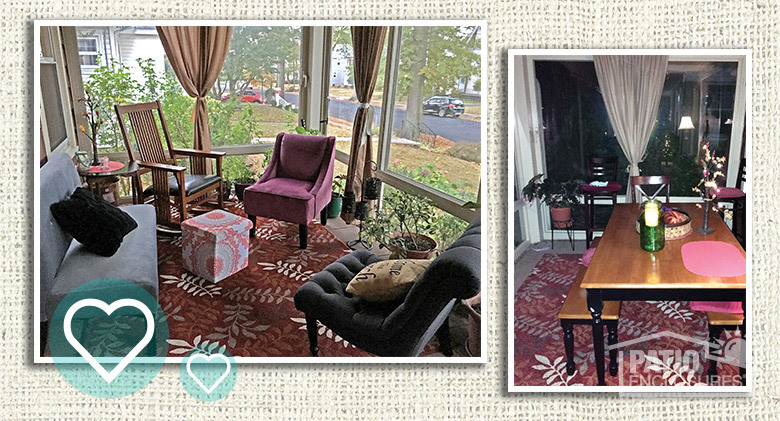 There is truly nothing more beautiful then to sit in the sunroom early mornings with our coffee and enjoy the sun and warmth of our room." "We live in this room all summer, it’s one of the best things we have done to this house. We love this room." 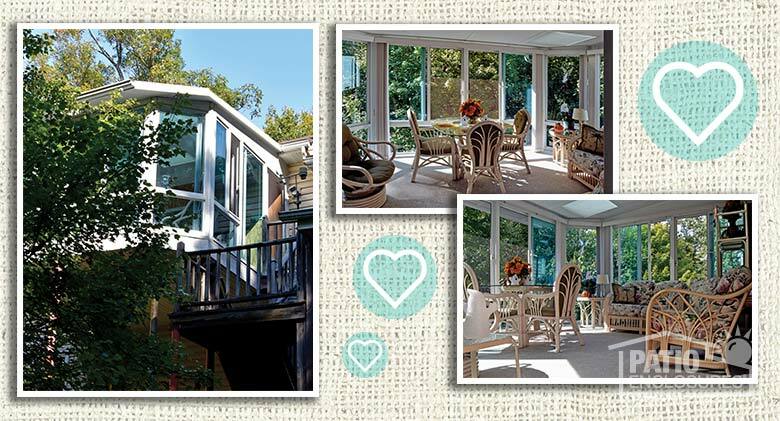 "Our sunroom is like a treehouse. It is used every day and is an extension of our kitchen. 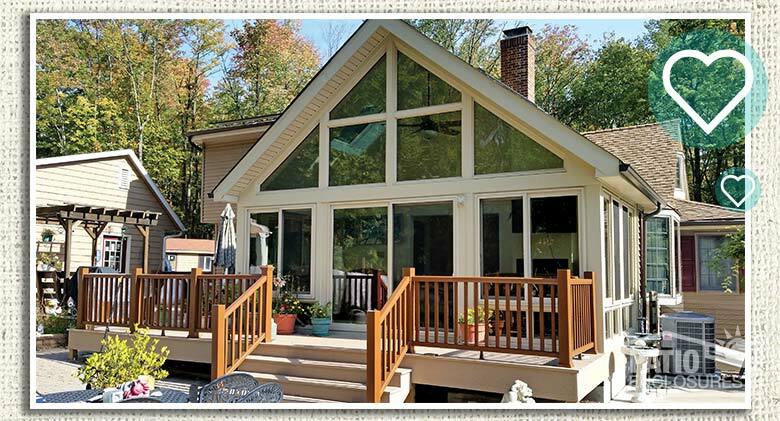 Since our sunroom sits on the third level of our home, the changing of the leaves in the fall makes a beautiful scene." "We love our new room because it brings nature inside without being exposed to the elements. 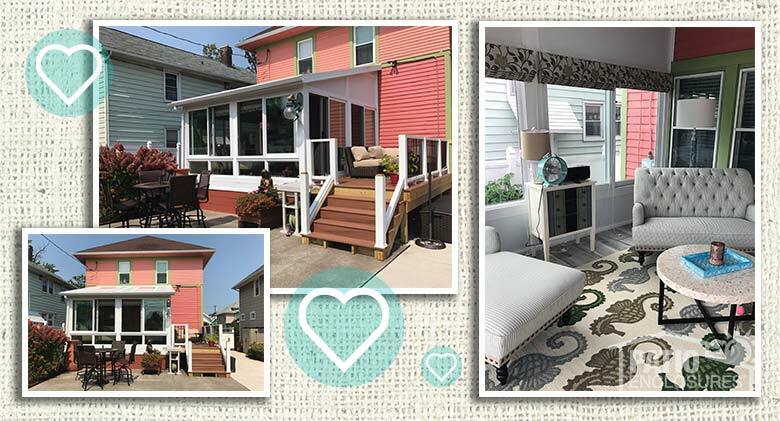 We use our room for all of our meals and are truly happy we made the decision to expand our living space this way." 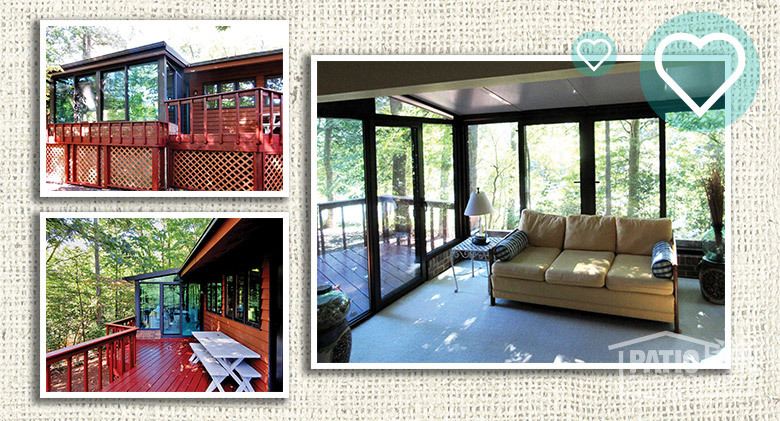 "We live in a wooded area with a nice deck and great view, but could never really enjoy it because of bugs! With our new enclosure we can now eat outside and relax without getting eaten alive. 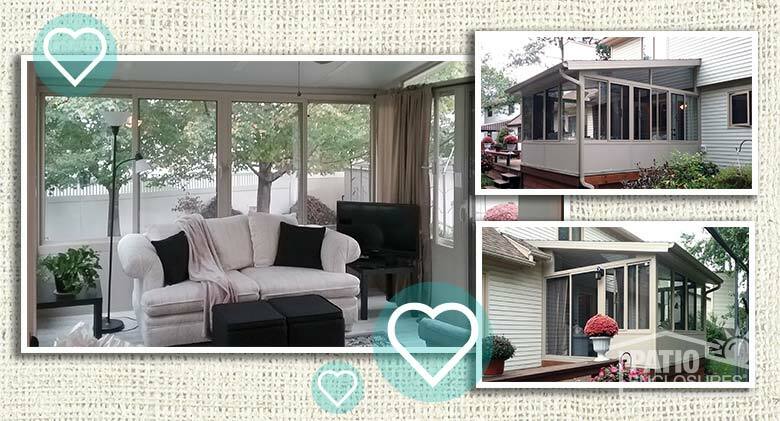 Our screen room is our favorite room of the house! It was money well spent." 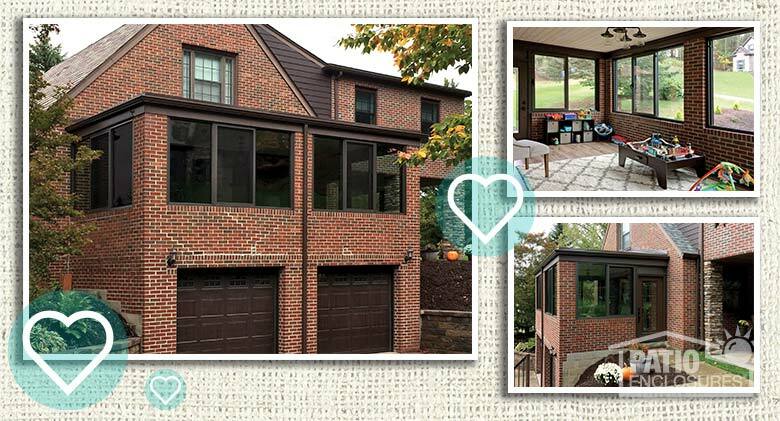 "The decision to screen in our patio was by far the best home remodeling decision we have ever made. We can spend time in our room without getting attacked by bugs! 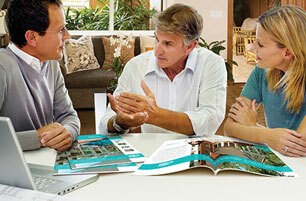 The salesman was courteous and knowledgeable, the installers were punctual and did a great job. We are very happy!" 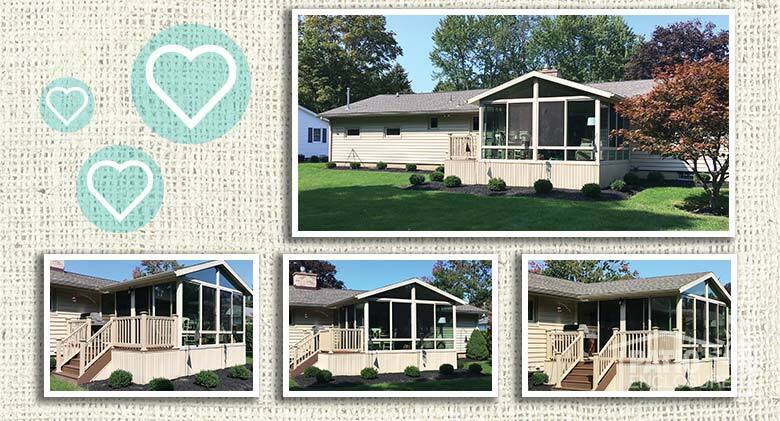 "We had our front porch enclosed by Patio Enclosures and it was the best home improvement we have done on our house! 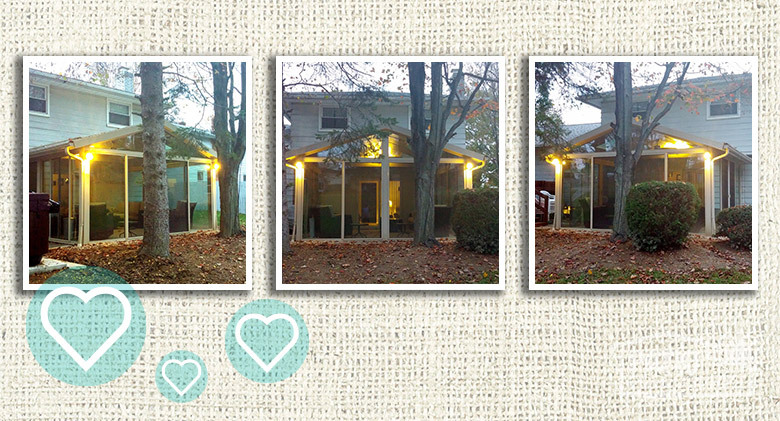 We basically added another room and living space to the front of our home that is so beautiful and very comfortable. Previously, we couldn’t even sit on our front porch because of the mosquito problem in our area. Now, it’s our favorite room! 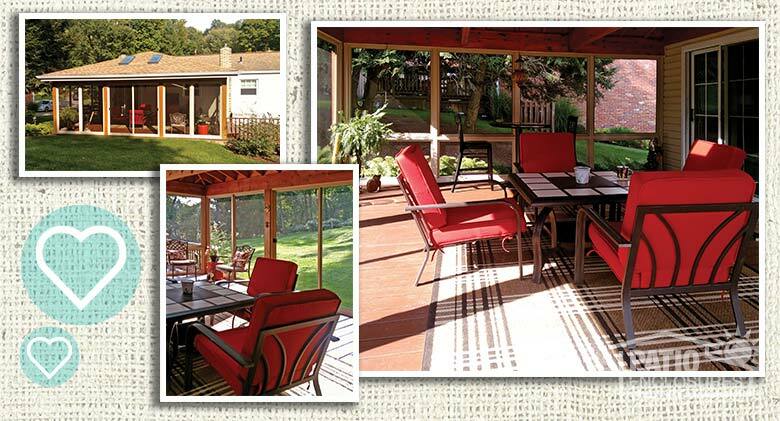 We love to entertain guests to enjoy a meal or just sit and relax with the cool breezes blowing from outside (bug-free)!" 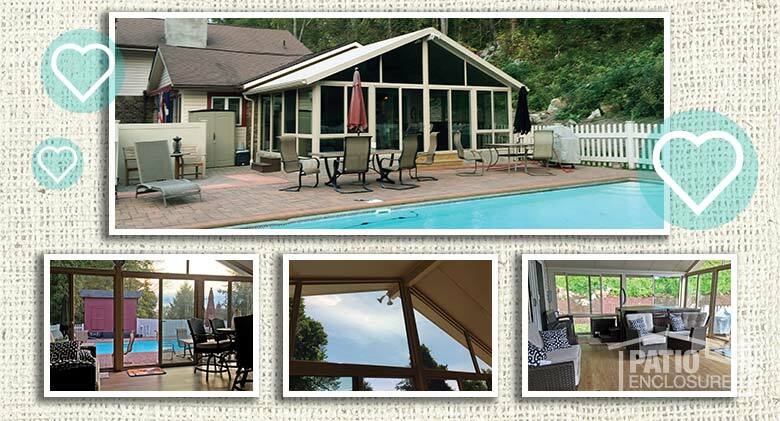 "We enjoy meals in our new enclosure as well as hot tub experiences and views of our pool." "We have been in this house for three winters and the open patio would get lot of leaves flying in during the fall, snow during the winters, pollen during the spring, and flies, bees and mosquitos during summer months. We love to sit on the patio as long as we can and enjoy the sunny outdoors. But, due to the patio being open and all the above mentioned problems, we couldn’t use the space as much as we would have liked. 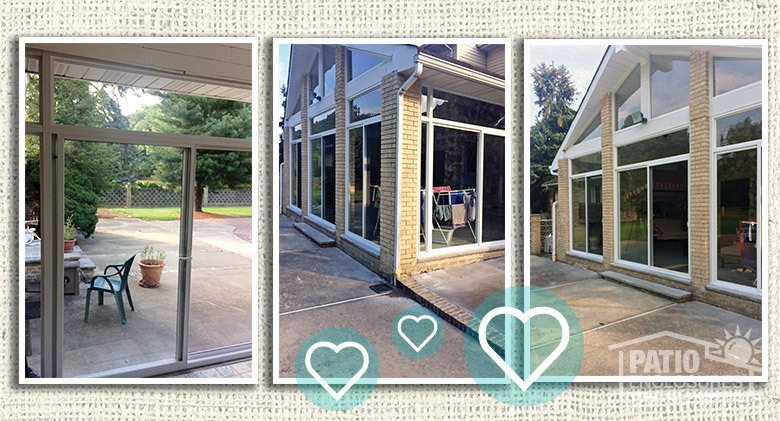 Now that the patio is enclosed with glass sliding doors all around, the space is so much more relaxing and usable. We love to entertain outdoors. The sunlight coming in through the glass also helps shield my plants from the weather conditions and I am sure some of my plants will survive the winter and blossom and continue to grow next spring, too. 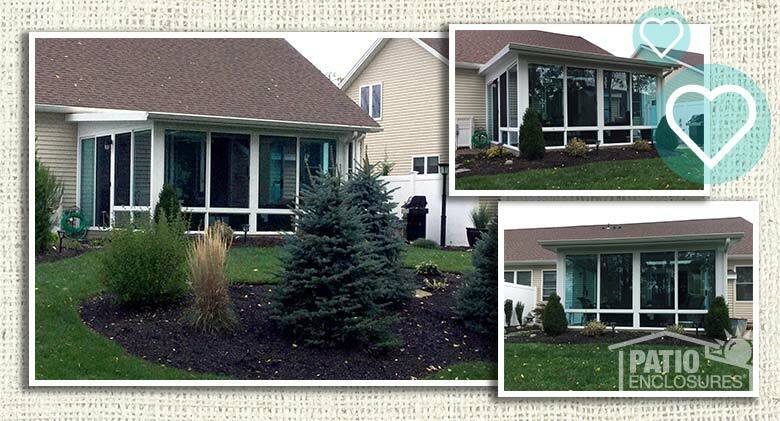 We are glad we approached Patio Enclosures for this job and they sure did an amazing one. Thanks to the Patio Enclosures team." 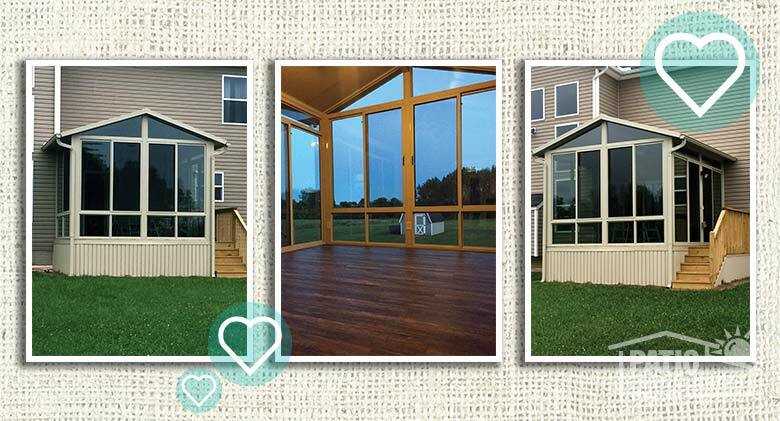 "We love our new Patio Enclosures sunroom! It has opened up a full glass view of our backyard! Bugs, mosquitoes, sun, rain and soon-to-be snow can’t stop us from enjoying our property now! 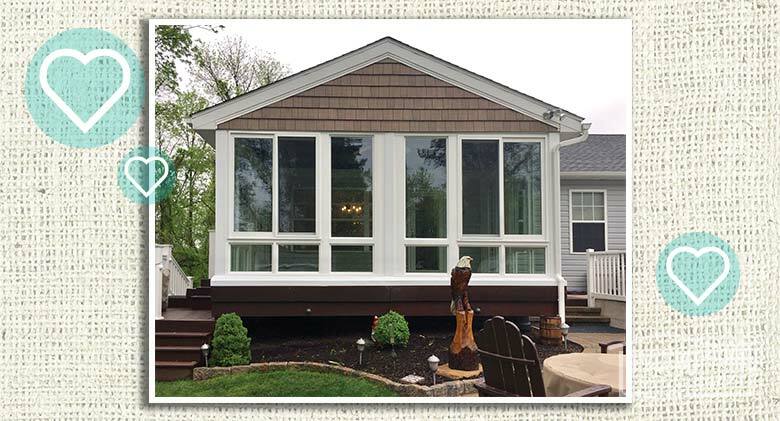 Thank you Patio Enclosures for skilled professional installers and a quality room that will host many gatherings for years to come!" 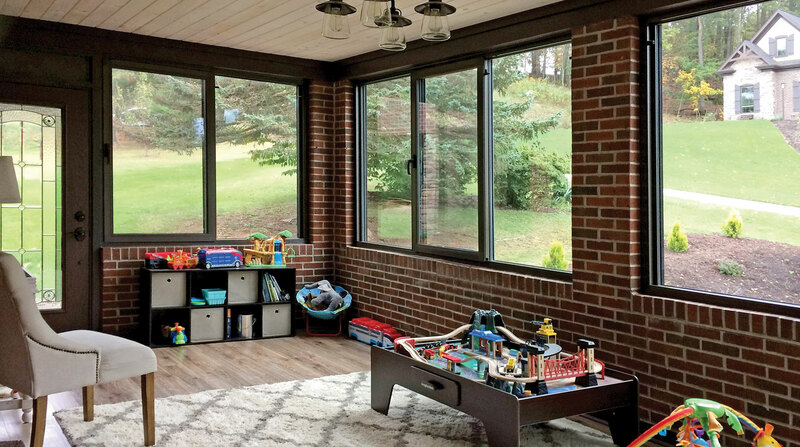 "The room’s glass panels provide equal protection from heat and cold. 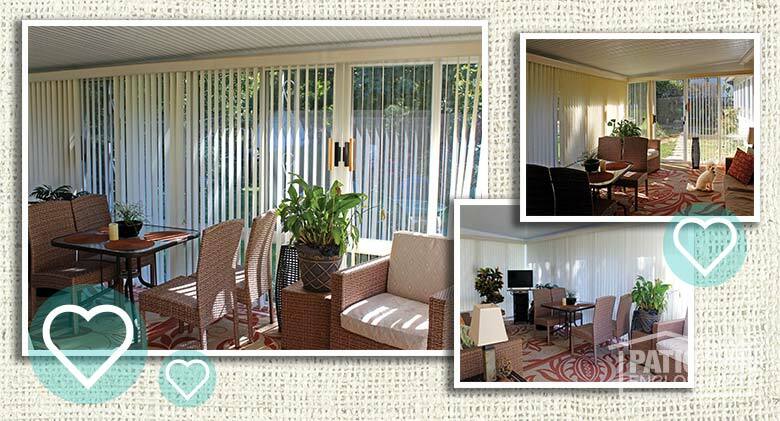 The comfort and panoramic views provide a sense of tranquility and presence with nature." 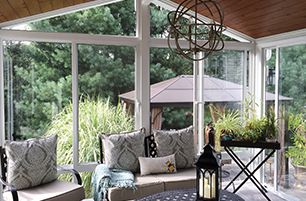 "Our sunroom has become our ‘relaxation room.’ No TV, no computers, no phones and no noise except for the sound of crickets chirping at night. It’s a great way to unwind after work."